Egypt, Cairo Faces of the revolution. 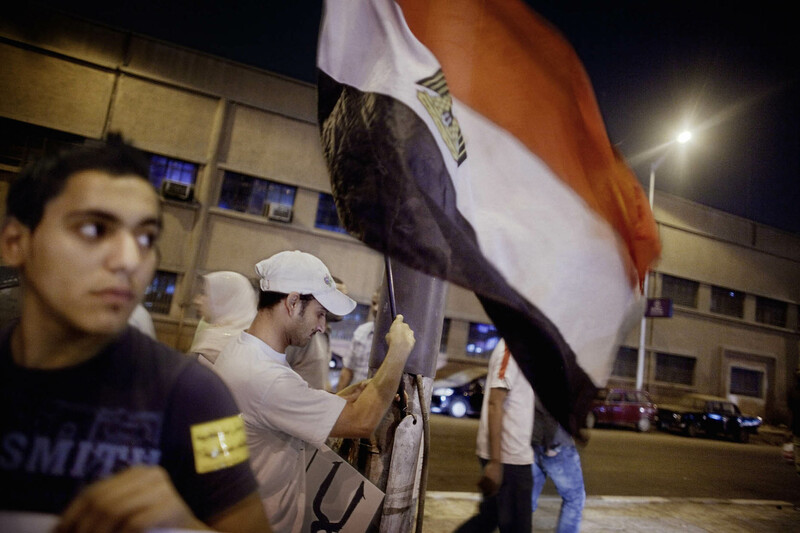 Members of the April 6 movement prepares for a small demonstration in downtown Cairo. Several days a week, they show up on strategic places with banners and posters. The young generation of Egypt has been in the frontline of ever since the revolution startet in the country in the spring of 2011. Even though president Mubarak was forced out of his office after massive protests, the demonstrations continues. One of several organizations created in the Arab Spring, the April 6 movement, was nominated to the Nobel Peace prize in 2011. The members meet every day in street cafees to discuss and plan for demonstrations against the military regime.